THE race to be the 2018-19 Maddington Toyota Sprintcar Series Champion is set to heat up with four rounds of the main series remaining – and all kicking off at the Perth Motorplex this Saturday night. The return of some drivers from east coast duties, along with other local drivers who haven’t raced for a while, highlights the nomination list for round 12 of the Maddington Toyota Sprintcar Series. 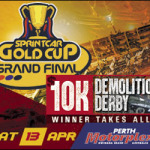 The latest round of the sprintcar series is part of a big night of racing at the Motorplex that also includes the Australian Speedcar Championship, Wingless Sprints, Junior Sedans and another round of the local Carbusters Holden Vs Ford Demolition Derby. Mitchell Wormall, Jason Pryde and James Inglis are back in town after following the World Series Sprintcars trail across the country. They will be joined by Shaun Bradford who has been sidelined from racing after three early-season appearances with work commitments and relocating from Perth to regional WA. Adrian Haywood makes his first appearance for the season in the W88 and is expected to add some extra spice to the field. We haven’t seen much of Robert Watson junior this season and he is back at the Kwinana Beach venue, fresh from a win on Saturday night in the Make Smoking History 360 Sprintcar Power Series at Northam. Ben Van Ryt is also back in the frame and this is one of a couple of shows that he will be racing with a 410ci motor, rather than the regular 360ci engine he has driven with success. Bunbury-based Todd Davis is back for another round of the series, mixing his time up between the Maddington Toyota-backed series at the Make Smoking History-backed series. We are glad to hear that Ryan Lancaster is also back after suffering a back injury in a big crash in the first part of the season. Jason Kendrick, the defending series champion, is on 1870 points, only just ahead of six-time champion Jamie Maiolo on 1857 and Brad Maiolo, a two-time champion, on 1846 points. Kaiden Manders is the only other driver who could challenge these guys for the championship, but he is a fair way back on 1676 points. He would need to gain maximum points at each round and hope the top three drop out of contention early in the big shows ahead. Rounding out the top five is Kye Scroop on 1486. Taylor Milling, who has been concentrating on local racing this season and recently enjoyed his first podium finish, will be looking to consolidate on his consistency that puts him in eighth overall in the points chase. Add in Ben Ellement, Tom Payet, Jaydee Dack, AJ Nash and Andrew Priolo and it’s going to another big night of racing. A strong field of at least 20 teams is locked in for this Saturday night’s action. 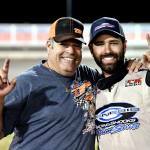 It will be followed by rounds at Albany on Saturday, February 16 and the Perth Motorplex on Friday, February 22 and Saturday, February 23 – which also double as the final rounds of World Series Sprintcars. Andrew Priolo, AJ Nash, Jason Kendrick, Jaydee Dack, Jason Pryde, Ryan Lancaster, Taylor Milling, Ben Ellement, Shaun Bradford, Kaiden Manders, Todd Davis, Robert Watson junior, Ben Van Ryt, Brad Maiolo, Tom Payet, James Inglis, Adrian Haywood, Kye Scroop, Mitchell Wormall and Jamie Maiolo. James McFadden, Rob Mould 50 each. 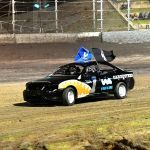 The season will then round out with the Triple Challenge at Bunbury Speedway on Saturday, March 2 and the Perth Motorplex on Saturday March 30 and Saturday, April 13.